It is nearly impossible to see a piece of art without it being framed in a certain context. Even when viewed outside of a museum or gallery an art object is framed by the culture, history, and personal motives of the artist. In a museum, however, even more frames are placed around objects. There is the set up of the gallery, the choice of lighting or use of sound, and there is the choice of what text accompanies the objects. Contemplating frames such as these I chose to compare the Denver Art Museums Asian collection, specifically the arts of China, to CU’s collection of Greek ceramics. I chose to compare these two collections because the art objects were somewhat similar, both being composed of many small vessels used both as art objects and in every day life. The Denver Art Museums Asian collection covers a whole floor of the museum. It covers art from many geographic areas of Asia, from China and Japan to Southwest Asia, Tibet and Nepal. It also has a few rooms dedicated to specific themes such as Bamboo and Buddhist art. As well as having art from many backgrounds, the gallery covered a vast timeline with art in the Chinese collection ranging from as early as 700’s to more contemporary work as late as the 1960’s. The Chinese gallery was a long room. Around the edges furniture and clothing were displayed on raised platforms and smaller objects were in glass cases around the room. The lighting was the same as most of the rest of the museum, basic spotlights over cases and display areas, but evenly lit overall. The decor of the gallery was rather plain, with neutral colored walls, floor, and pedestals, which drew attention away from the space to the art objects. Most pieces had a small placard with their name, date, and place of origin with a small description of the scene or figure depicted. Some pieces of art had pull out scrolls which included extra cultural or historical context for the object. There was also a game of eye-spy in the gallery that allowed children to take a closer look at the art. The descriptions of specific pieces often included many extravagant adjectives. I felt that descriptions often framed pieces to be grander then they may have been. One example was for a small circular box from the Ming Dynasty. The use of painstaking, careful, and striking in the description accent the piece but there is very little historical evidence given to defend the claims. This may be due to lack of time a museum has to capture its audience when describing a piece. on a packet was below the case, but a viewer would have to notice it and have the patience to read through it to learn about the individual pieces. The page along side the ceramics discussed the role of Greek Ceramics as a tool for learning about early Greek Culture. The collection consisted of pieces from the bronze age to the hellenistic age of Greek history. In contrast to the Denver Art Museum the CU Art Museum displayed their pieces in a context of artifact rather than art. They specifically discussed the practical application of the objects in activities such as eating and drinking, and religious ceremonies. They did not discuss the processes used to create the pieces or the use of the pieces as an art object. 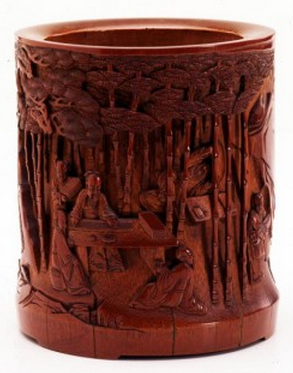 For example, the collection consisted of red-figure and black-figure ceramics, and I did not find any mention of the techniques used to distinguish these two styles. However, I did not read through the whole packet provided below the case. On the other hand, the use of different styles of ceramics was discussed, as well as the role of the certain votive figures in rituals and ceremonies. This choice in presenting the object definitely guides the viewer understanding of the pieces as artifact rather than art objects. I felt that the Denver Art Museum had a more successful exhibit of their collection than the CU Art Museum. I believe that the goal of a Museum is to get the viewer excited about art, and the Denver Art Museum framed their art in a way that made it very accessible and interesting to guests. First, every art object had a quick description of the piece that covered the basics. It had brief cultural context and described the pieces artistic composition. Including both of these pieces of information brought the objects to life, giving viewers a deeper understanding of how the piece was created, but also the context of how the piece would have been viewed and used at the time of its creation. For example, the description of a ceramic camel was as follows, “Symbolic of the great desert caravans along the Silk Road, glazed earthenware camels were often placed in the tombs of wealthy Chinese merchants. (DAM)” Although its extremely concise it talks about the art process used and the cultural symbolism. This piece was also included in the children’s eye-spy game which I thought was an extremely intelligent touch for including children in the excitement of art. It forced children to take time to really examine all of the art objects in the gallery. Transferred from the University of Colorado Musuem of Natural History to the CU Art Museum, University of Colorado (2006). In contrast to the Denver Art Museum the Greek ceramics collection was rather dry. Considering the context of the pieces being part of a university, I suppose the more academic approach was appropriate to the pieces. Many of the pieces have probably been the topic of papers in the classics, archeology, anthropology, and many other departments that have agendas outside of art history. In the context of the university, as objects of research, the display was more successful. If the museum did want to portray the objects in a way that showcased the culture and artistic composition in a way that made the viewer excited to learn more, then I would say they were not successful. I felt this was especially apparent in the way the objects were described for the viewer, with a brief one-page overview, and a half-hidden packet under the case. All in all both museums used very specific framing devices to guide the viewers understanding of their pieces. The Denver Art Museum used engaging descriptions and plain decor to showcase the pieces as art objects. The CU art museum used a small case with lack of description to frame the pieces as artifacts. Depending on the different goals the museums had for the pieces both of these techniques could be successful, but for my own personal beliefs of the goal of a museum, the Denver Art Museum was more successful. 1. Ancient & Classical.” CU Art Museum. 2010. Web. 16 Nov. 2010. 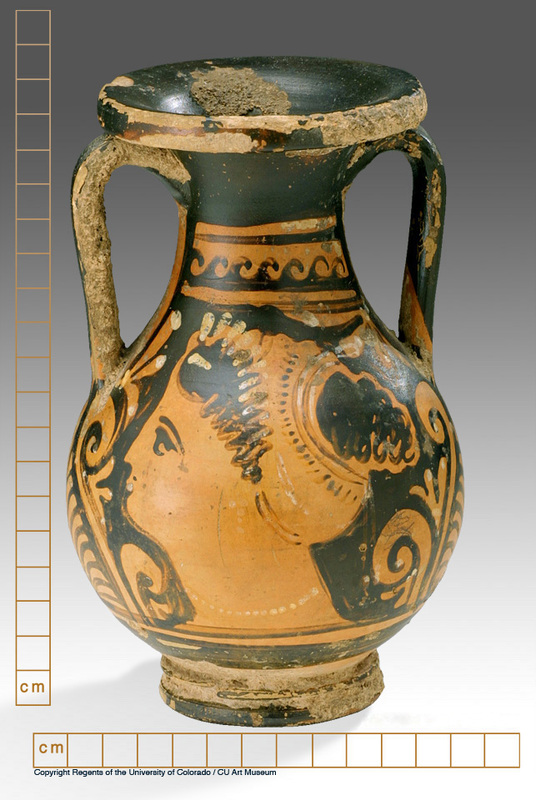 <http://cuartmuseum.colorado.edu/collection/ancient-classical/>. 2. Whitten, Tom. “Asian Art Department | Denver Art Museum.” Denver Art Museum. 2010. Web. 16 Nov. 2010. <http://exhibits.denverartmuseum.org/asianart/index.html>. You may recognize this as my banner image. Thats cause it is! Hooray! This was a mixed media piece I did in a hurry that turned into something I really liked. The background behind the tree is a bunch of scrappy pieces from another project that I couldn’t bring myself to throw away. I no longer remember where the image of the plant came from. The Frame however is my favorite part. I used old paint that I believe was acrylic on the frame, but for whatever reason it didn’t want to stick to the green coat underneath. The effect created was really neat, with a resist quality. I was really happy to see of the green coming through. This piece is about 4in by 3in, so pretty small and was created in 2010 (I think).